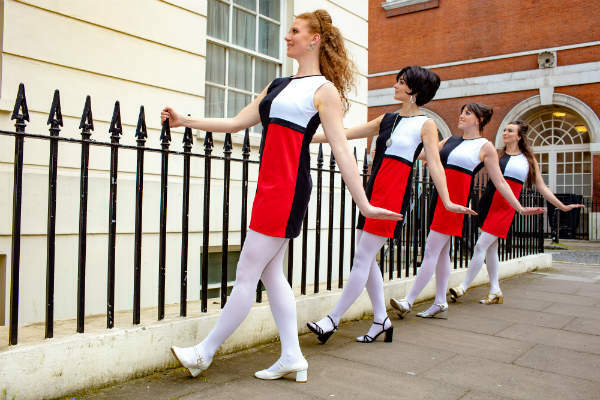 The Meyer Dancers are London’s ‘Go-To” 1960’s and 1970’s Go-Go Dance Company. 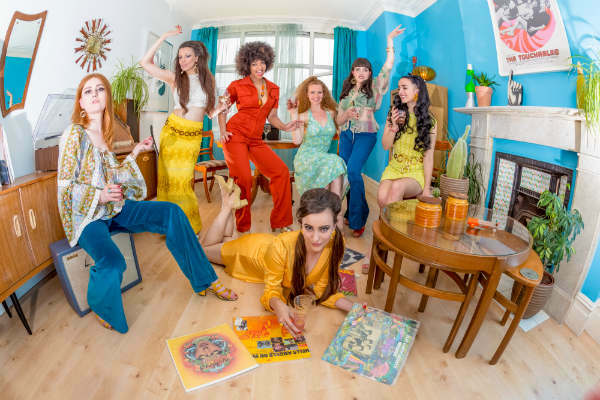 They are the only 1960’s and 1970’s specialist Go-Go dance company in Europe! The Meyer Go-Go Dancers have been performing their authentic, fun and exciting Go-Go dance act for 5 years, having performed alongside legendary 60’s bands such as The Sonics, Geno Washington, The Trashmen and at several festivals such as Glastonbury, Lovebox, Isle of Wight, Wilderness, WildLife, Citadel, Secret Garden Party and 60’s festivals in Europe! 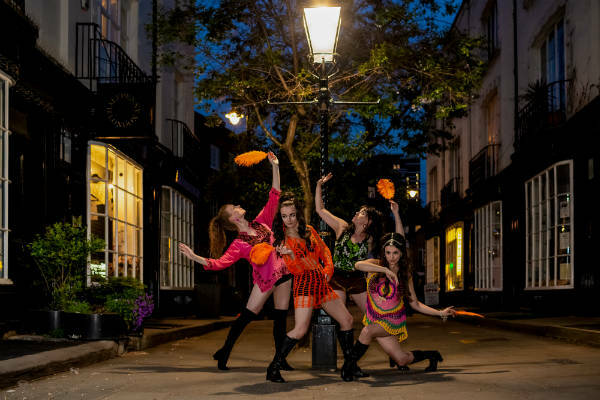 The Meyer Dancers have also featured in movies directed by Woody Harrelson (Lost in London) and award-winning director John Ridley (Guerilla). The Meyer Go-Go Dancers ‘ TV work includes This Morning Show and The Only Way is Essex. They have curated 1960s psychedelic events and performed at the Jimi Hendrix Museum, Mayfair (Handel and Hendrix). 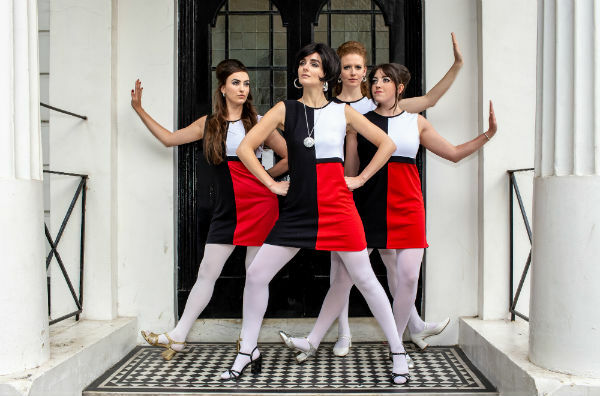 Alongside performing, The Meyer go-go Dancers also teach 1960’s Go-Go at hen parties and birthdays, which have been awarded 5 star reviews from participants! The Go-Go dance classes can run from anything to 1 off hour workshops all the way through to longer 4 week courses. The Go-Go dance classes are a really popular option for birthdays, Bat Mitzvahs, launches and festivals. Take a trip back in time and grab your Go-Go boots, it’s time to get groovy baby! What is a Go-Go dancer? Go-go dancers are ladies who are hired to entertain crowds by erotically dancing at nightclubs and other venues where music is played. Go-go dancers are not strippers – they are professional dancers. By some accounts Go-go dancing originated in the early 1960’s, when women at the Peppermint Lounge in New York City began to dance the twist on tables. The term go-go was influenced by the French expression “à gogo”, meaning “galore”, “in abundance”. The Meyer Go-Go Dancers have an extensive collection of both original vintage and custom made 1960s and 1970s costumes. 1960’s themes cover Mod (monochrome Twiggy looks), psychedelic (lots of crochet and bright colours, early 60s (tassels and shaky bikini sets), and 1970s disco including all kinds of glitter, custom made jumpsuits and lots of sequins! The company also has specialist themed costumes for Christmas, biker and space age. The Meyer Dancers can also be hired as vintage models and style consulting for 1960’s and 1970’s era costumes. Had the best time learning Go-Go dancing with the Meyer Dancers! Would highly recommend the 4-week course! -Launch Parties (including: V&A Late’s, Lily Allen’s Lucy In Disguise shop & Biba Book signing at Paper dress Vintage, Gizzi Erskine – book launch party at W Hotel, turning on Christmas lights (Archway-London) and Italian Eye Summer Party). Festivals: (including: Glastonbury, Latitude, Isle of Wight Festival. Wilderness, Secret Garden Party, Love Box, Trafalgar Square Festival, Leefest, Wonderland, Gay Pride). Specialist Vintage Festivals: (including: The Trip Out, Hipsville, Le Beat Bespoke, The Happening with Surfquake, Berlin Beat Explosion ). Film Work: (including: Lost In London, directed by Woody Harrelson & starring Owen Wilson.